White Paper Published By: ESET, LLC. With the large amount of software available from many vendors, the challenge for businesses now becomes determining which security solution is the most effective at mitigating the threat of malware, while minimizing implementation cost and impact to existing business functions and workflow. 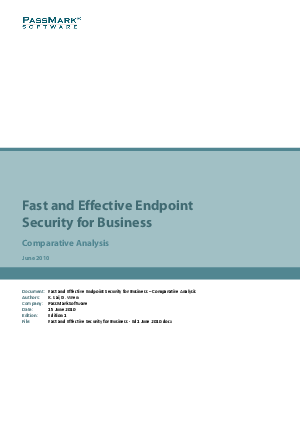 This report presents a comparative analysis on the performance, effectiveness and usability of seven security solutions from some of the world's largest security vendors.